Arenal is an active volcano which has violently erupted in recent memory. Nevertheless, it is precisely the movements of the ash and lava that attract hikers. The volcano also forms part of a national park of the same name which protects a fascinating tropical forest. All the comments below belong to people who have travelled to Costa Rica with Exoticca in the past 18 months. “The resorts were excellent and accommodation very good. 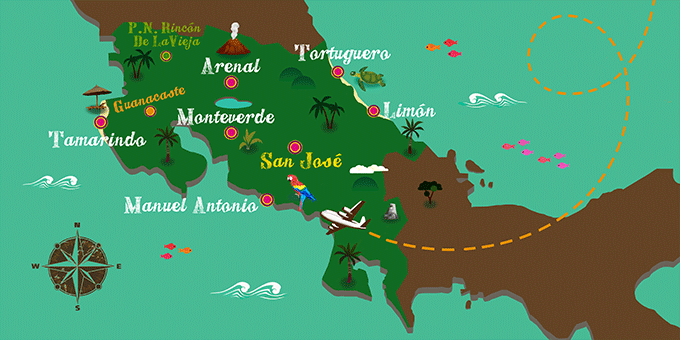 If Arenal has caught your attention, leave us your number so we can call you to discuss the voyage that awaits you.